Taiyuan Simis can provide very high precision parts using lost wax casting process, and then finalizing them by CNC machining process. Carbon steel investment castings have a wide applications due to the material characteristic, namely aerospace, automobile, automotive, marine, construction and mining industry, etc. We have been producing them for over 11 years, developing a comprehensive production line which effectively reduce the cost in each state of the manufacturing process, thus we could guarantee the competitive pricing and very high quality. Taiyuan Simis is equipped with many advanced casting equipment, heat treatment equipment, testing and measuring equipment as well as CNC machining equipment. The abundant casting experience and enormous capability are the facts that made us professional. 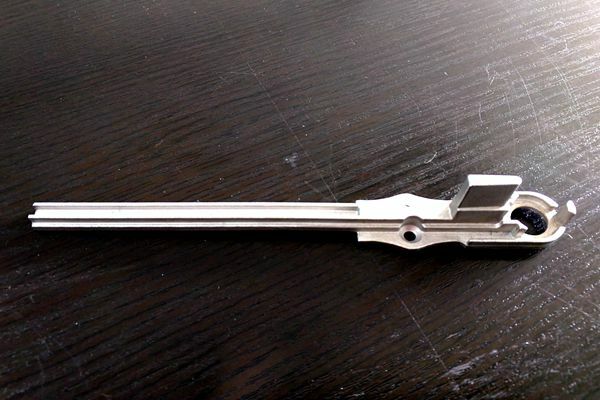 Besides, small and highly intricate parts are our specialty, we could guarantee CT4 tolerance with investment casting technique. Product type: non-standard, according to drawings or samples. Process: investment casting/ lost wax casting. Material standard: GB, ASTM, AISI, BS, DIN, JIS, NF. Heat treatment: annealing, quenching, normalizing, tempering, hardening. Machining equipment: milling machines, grinding machines, turning machines, vertical CNC mills and horizontal CNC mills. Inspection equipment: CMM, spectrometer, gauges, projector, mechanical property tester, impact tester, etc. Quality control: all of our products are produced strictly according to ISO9001:2000 certification, comprehensive inspection before shipment. Weight range: 0.001kg up to 30kg.